Ray Klefstad, a lecturer in the Department of Computer Science, has been awarded the honor of 2017 Lecturer of the Year. In order to be considered, the campus community must first nominate individuals to be recognized for excellence in undergraduate teaching. Nominees are then competitively selected by members of the Council on Teaching, Learning, & Student Experience, the Office of the Vice Provost for the Division of Teaching & Learning, and the Center for Engaged Instruction. Klefstad will formally accept the award on May 4, 2017 at UCI’s University Student Center during the 24th Annual Celebration of Teaching. In addition to the engraved glass award, recipients receive a $1,000 contribution to their professional development account. During the same event, Computer Science Professor Alex Ihler will also be recognized as a Dean’s Honoree for Excellence in Undergraduate Education. Klefstad (Ph.D. ’88, M.S. ’82, B.S. 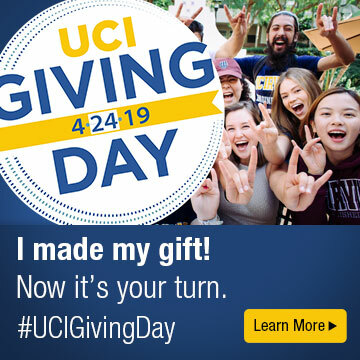 ’81) is a proud UCI alumnus, and over the course of 30 years of teaching in ICS has won some 15 UCI teaching awards, including numerous Outstanding Professor awards, an Outstanding Non-Senate Teacher Award and Best Professor Award. This is Klefstad’s first year accepting the Lecturer of the Year Award and the first time an ICS lecturer in computer science has been awarded in this category at the campus level.